A tale of lies and revenge. A local Kung fu master hopes to monopolise, but family in his way is protected by a great martial artist. 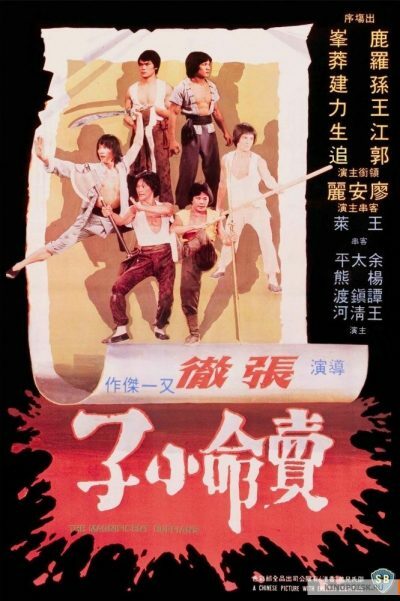 The evil lord hires 4 local beggars all masters in their own arts (pole, swords, kicking, axe) and tells them lies about the young fighter to sour their feelings on him causing them to challenge him to a duel. But after countless fights between them they all realize that they are much better friends then enemies, until one of the fighters is sabotaged and kills the young fighter. Being mistakin for a killer the other 3 turn their backs on him and chase him off swearing revenge until they find out what the real story is. Amazing weopon work that only the venoms could show you. Another first class story line, hands down just another great venoms movie period.